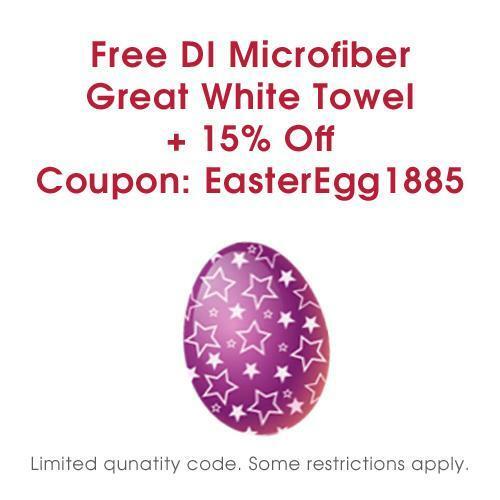 This new towel has it all with the extremely fine and soft fibers. It is extra large (16" x 24"), white, tag less, stitched with microfiber and edged with silk so you know it is totally safe. 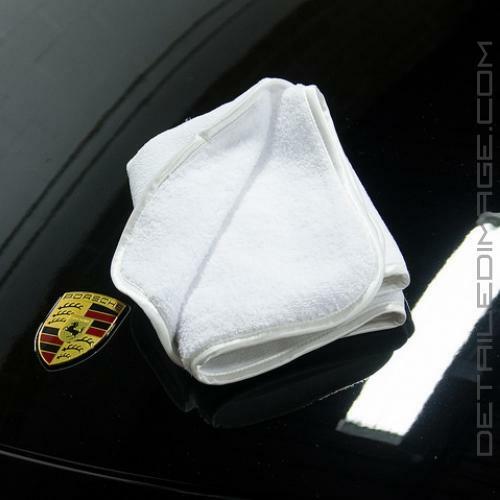 This combination of features make this easily one of the premium microfiber towels for detailers. The Great White is a two sided towel that helps you remove excess product (polish, sealant, wax, etc) from your exterior paint with ease. One side has longer fibers that helps remove loose particles and collect them in the threading. The other side has a tighter weave and shorter nap that helps remove product that is more tightly bonded to the clear coat. 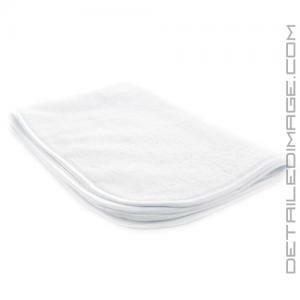 This ideal combination of different textures on one large towel makes it perfect for removing excess product. It can also be used to clean your interior, dust, glass care, leather care, etc. Each strand of microfiber has hundreds of micro pores in it that create pockets so the towel will grab and collect excess product, contaminants, etc. 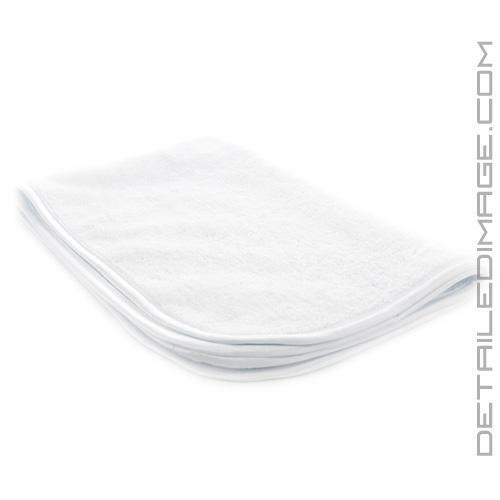 Get the real deal microfiber towel with Detailed Image's Great White Microfiber Towel. Best towel I have used I am buying more of them used on new BMW X5 50i in Carbon Black.